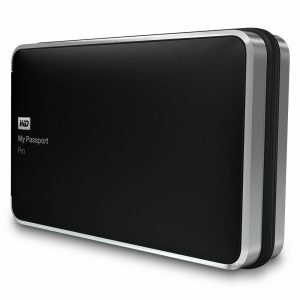 Nowadays, My Western Digital Passport hard drive has become a frontrunner in the external hard drive market due to its mini size, ease of use as well as huge data storage capability. The Western Digital hard drive is a good choice for backup your important data, and also they can be easily carried with you anywhere. But your important data like photos or documents present in it can be lost due to technical or human errors. However, when you lose your precious data, it is important to know the reasons that have caused it so that you will be careful next time while using your device. When you connect your WD hard drive, you may be a dialogue appearing with a message “The drive is not formatted. Do you want to format it now?”. In such case, if you click on “No”, the files on your WD drive remains inaccessible. While on the other hand, if you click on “Yes”, your drive will be free of corruption or format errors but all the files that you have stored on your WD hard drive will get lost. Viruses may get transferred to your WD hard drive, if you connect your My WD Passport hard drive to a machine that is virus infected. Some of the common ways through which viruses can come to your system are connecting an external storage media that is virus infected, downloading files from the internet, attaching emails that are virus infected, etc. If your system gets virus infected, then it will not only make your files inaccessible but also corrupt your WD hard drive and slow down your system’s performance. Sometimes, using the commands “CUT” and “PASTE” for transferring your files from WD hard drive to your computer can cause loss of data. Also, you can encounter a loss of files due to uncertain system shutdown, sudden power surge, and remove the WD hard drive while the file transfer is in process. Sometimes, you might delete some files accidentally from your WD hard drive. Since the files deleted from an external hard drive doesn’t get stored in the Recycle Bin or the Trash Bin, you cannot find those deleted files in your Trash even if you want to restore your files back. In such case, you should contact a reliable hard drive recovery professional to recover deleted files. Hard drives that have bad sectors due to head crash often become slow. This is because of the relocation feature of the hard drives. However, when there are a large number of bad sectors on your drive due to head crash, it can’t handle well. Unfortunately, there’s no way to do this on your own without at least some specialized data recovery tools. So in such case, you need to seek out a professional to recover data from hard drive. The hard disk will be no longer visible to the computer and there may be some audible ticking noise. Sometimes, your drive may appear dead and not spin. Such failure symptoms strongly suggest that your WD hard drive has an electro-mechanical problem. In such cases, the hard disk recovery is done in the cleanroom. This problem can occur due to normal wear and tear or age of the hard drive. This problem spreads quickly so it’s always recommended to power off the drive to preserve your data. Also, don’t run disk cleaning programs like Chkdsk and Scandisk as they will cause further damage while decreasing the chances of a successful disk recovery. Connect your hard drive to the computer by using some other USB cable. If this solves your issue then the USB cable may have failed or not compatible. Ensure that the USB or FireWire cable is not longer than 18 inches as your drive may not get enough power to run if the USB cable is longer than 18 inches. Connect the hard drive to a different USB port or FireWire port on your computer. If this solves your issue then the port may not be working properly. Check that your My WD hard drive is directly connected to a port on the side or backside of your computer. If your hard drive is connected to an USB Hub or any other device like Keyboard or Monitor, the hard drive may not be getting enough power to work properly. If your hard drive is connected to a PCMCIA or PC Card on a laptop or notebook computer the hard drive may work properly when the PCMCIA or PC Card is powered with its optional power supply. A Power Booster Cable may be required if the PCMCIA card does not have the capability to add additional power. Connect your My WD hard drive to another computer. If this solves the issue and none of the above steps helped, do contact us for assistance. Data doctor offers a professional hard drive recovery service that specializes in various hard drive data recovery including WD hard drive data recovery, flash drive recovery, USB recovery and more. We have the tools and expertise to safely and quickly recover data from a failed My Western Digital Passport Hard Drive. If the data on your hard disk is life-or-death critical, seek our professional data recovery services. Most of the times DIY recovery attempts makes the recovery of your data even more critical, please contact us to talk to a data recovery expert today.